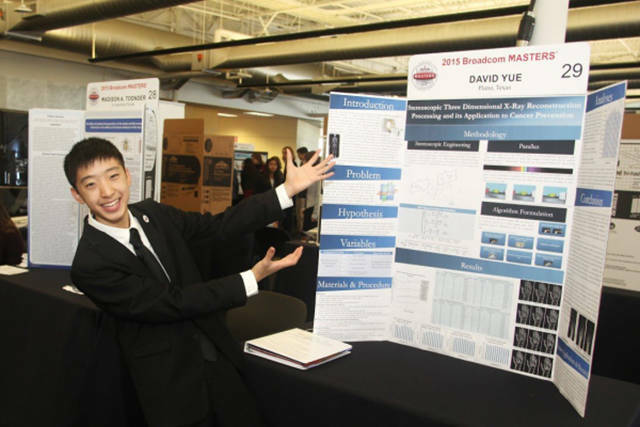 The Society for Science and the Public holds an annual competition called the Broadcom Math, Applied Science, Technology and Engineering Rising Stars (MASTERS). 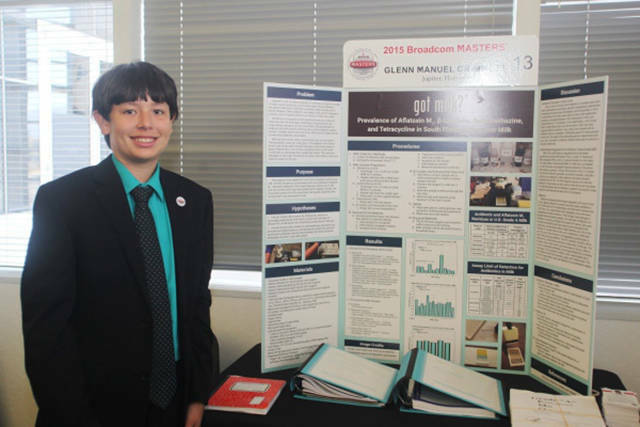 The contestants are between the ages of 11 and 14 and two are chosen for the grand prizes of $25,000 and $10,000. 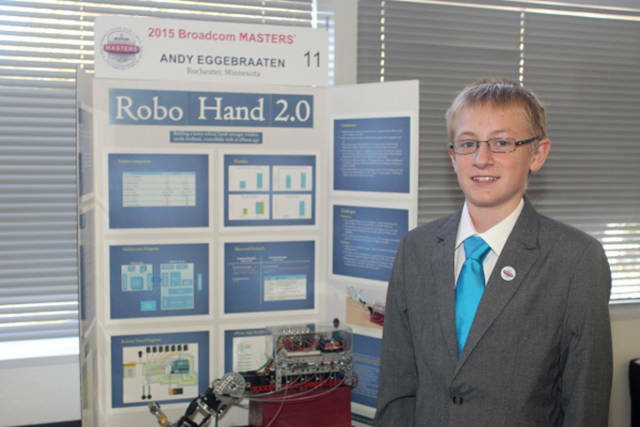 Andrew designed a sophisticated robot hand that can perform 58 different tasks, and it responds to voice commands. It can also change how hard it squeezes an object. 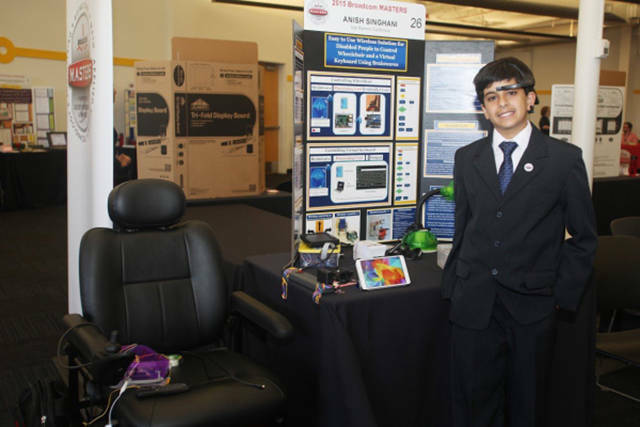 Anish designed both hardware and software to enable a commercial brain-wave sensor device to communicate with a wheelchair and virtual keyboard. 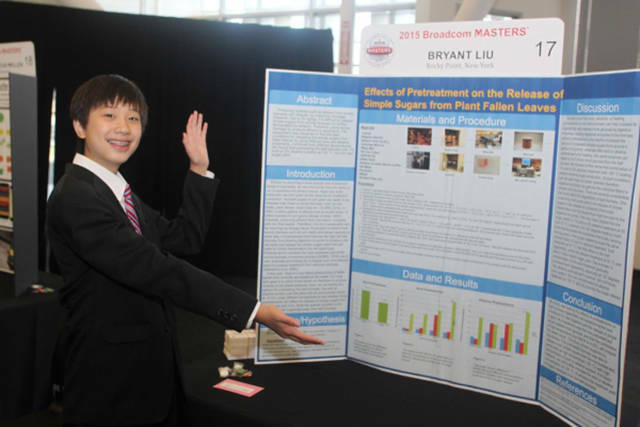 He hopes that his technology will improve the lives of those who are paralyzed. He also has his own YouTube channel and several apps that you can download. 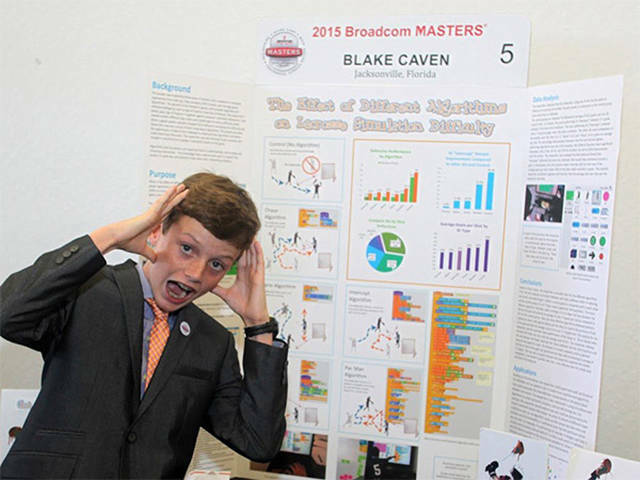 Blake designed a lacrosse-simulation video game, writing the software that involved a sophisticated level of gameplay with 5 types of computer-generated Defenders. Bryant discovered a special chemical cocktail to pretreat the fall leaves on the ground to make it easier to convert them into usable energy. David has found another way to diagnose cancer. Instead of taking multiple X-ray scans on a patient, exposing them to radiation levels, and then analyzing the scans one-by-one, Yue suggests constructing a 3D image from 2 X-ray images. Glenn searched for levels of carcinogens and antibiotics in the milk from the grocery store, using tests that were 30-40 times more sensitive than FDA tests. He found the presence of 2 different antibiotics in 17 out of 25 of his samples, and determined that new technology is needed to improve detection. 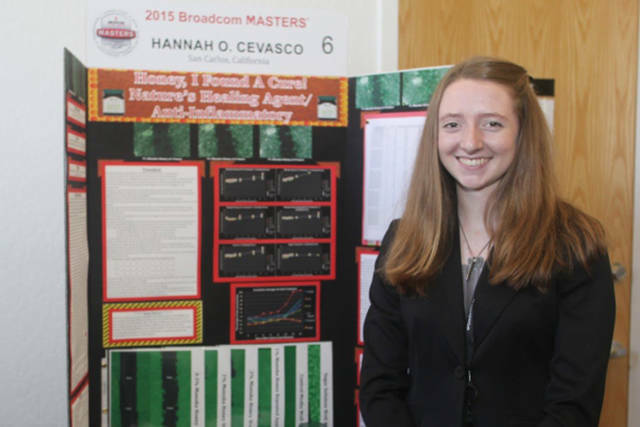 Hannah tested various diluted concentrations of honey on damaged skin cells and found that the mixture with 1% honey showed a significant effect on cell improvement. 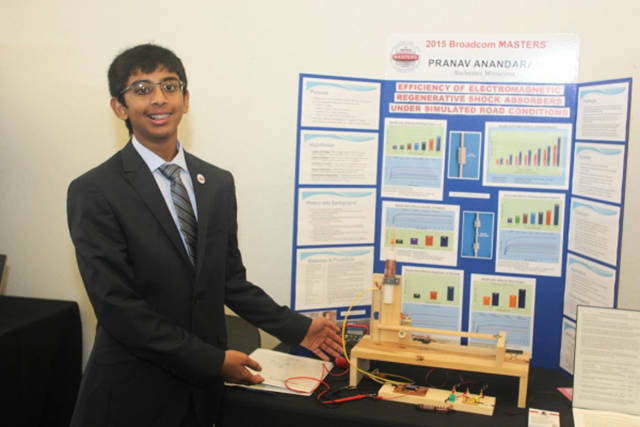 Hari built his own set of regenerative shock absorbers that helps cars store energy in the form of heat, making them more energy efficient. Isaiah grows Venus flytraps outside his front door. 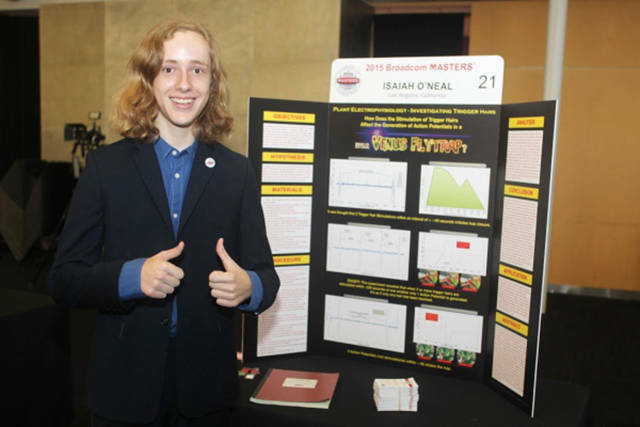 He learned last year that the plants snap their traps faster for certain types of food, and this year his project was aimed to figure out why. He found that the response from the plant all depends on which individual hair is triggered. 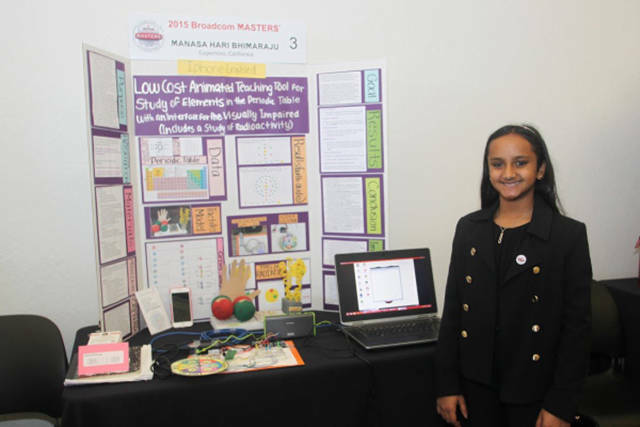 Manasa designed an educational system that can teach different aspects of the periodic table to the blind, including the structure of the atom and information about radioactivity. It provides the info vocally, and comes with a Braille keyboard. Her system has been tested by two school for the blind and they’re incorporating it into their classrooms. 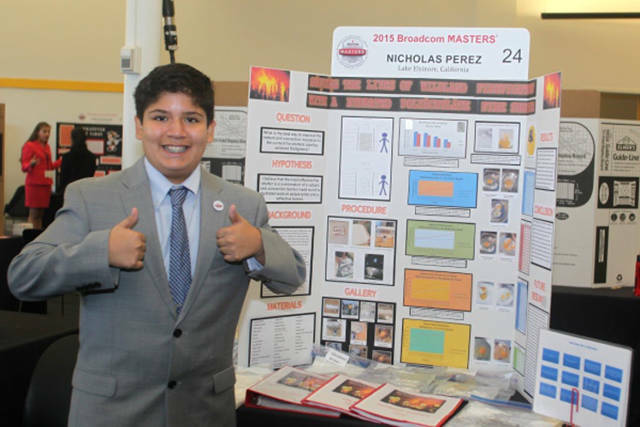 Nicholas developed and designed a fire-resistant material that firefighters can use to protect themselves from radiation, conduction and convection. 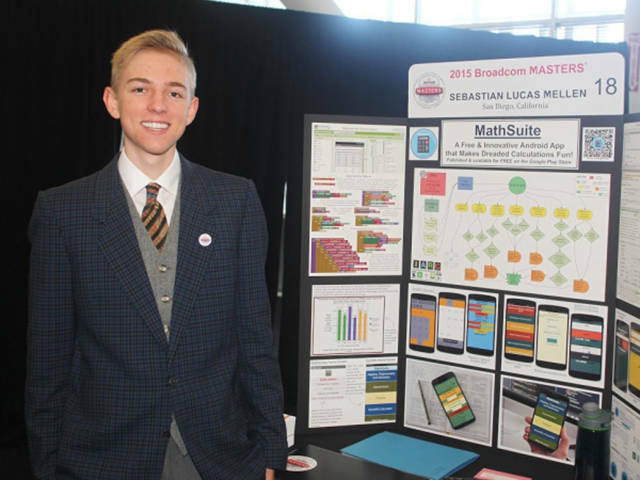 Winner of the $10,000 prize, Sabastian designed an app called MathSuite that “makes calculations fun.” He made sure the app doesn’t consume too much memory and is easy on battery life, and you can download it on Google Play. 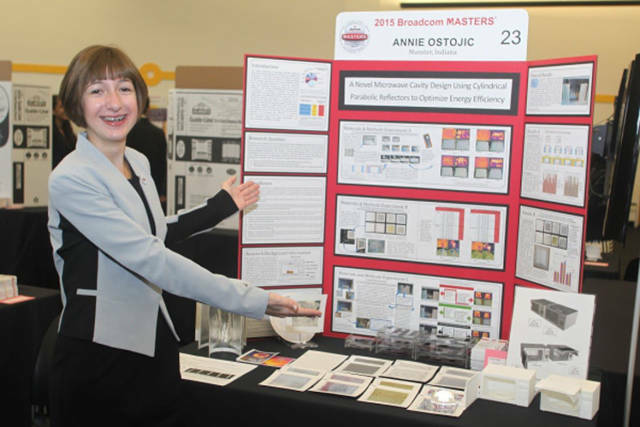 The big winner of the $25,000 prize designed an energy-efficient microwave. The interior of the microwave reduces lost heat and improves efficiency; she tested this by seeing which design best cooked a marshmallow. After seeing these young genius minds, it makes you think maybe the future of the world isn’t so bad after all.